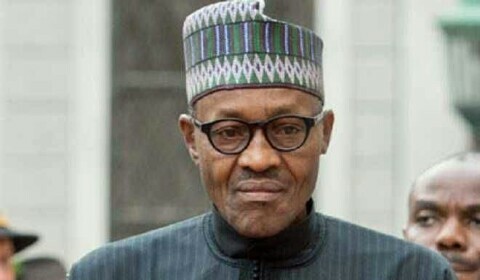 The coalition of civil society groups under the aegis of Northern Youths Coalition for Justice and National Orientation has slammed president Muhammadu Buhari and his anti-corruption war, saying his role in the sack of Acting Director General of the National Intelligence Agency, NIA Ambassodor Mohammed Dauda was questionable. The group, said the dismissal of Dauda following mere allegations without thorough investigation was grossly unjust. Briefing newsmen in Kaduna through its convener, Comrade Abdullahi Rabiu, chairman of the group accused the presidency of being responsible for the entire saga, which led to the illegal dismissal of the most senior Director of the NIA. Rabiu wondered why Buhari, an avowed anti-corruption fighter would allow the controversial $44M NIA funds recovered from Amb Oke whose appointment was terminated to finally end up in the custody of those individuals hell bent on looting it. The group also lambasted the presidency for not taking the allegation made by the embattled director general against certain government officials seriously in national interest rather than resorting to dismissing the director. He said, ‘It is on record that Amb Dauda fought corruption at NIA gallantly and rejected all enticement and reward for confirmation as substantive Director General by disgruntled elements who wanted to plunder the $44M NIA funds in his custody if he had succumbed and cooperated. “Instead of being rewarded and honoured, he was framed up by the same people and dismissed from work. This the greatest injustice that is despicable and unimaginable, the coalition said. While commenting on the appointment of a substantive director general for the agency, the coalition also observed that due process of law and agency guidelines were deliberately ignored to pave the way for the appointment of Ahmed Rufai Abubakar, the President’s kinsman, who was unceremoniously asked to retire from service five years ago following his failure to pass compulsory promotion exams to the rank of deputy director on three consecutive occasions. It also faulted his appointment because the Kingibe committee set up to restructure the NIA which he served as secretary recommended that only the most senior Director would be appointed as Director General of the agency. Ahmed Rufai Abubakar the coalition said retired as an assistant director five years ago after failing promotion examination on three occasions. “The appointment is therefore practically short of requirements and grossly shrouded in illegality,” it maintained. The coalition further stated that the administration’s purported fight against corruption is now being labeled as a mockery on the sensibilities of Nigerians due to its selectiveness and insincerity.